Celebrating the richness of life in the Midwest, Midwest Living magazine is dedicated to providing its readers with a wealth of region-specific information and inspiration, focusing on travel and events, food and dining, and home and garden, as well as other editorial content that entertains and informs about the area. Founded in 1987, the magazine is a legacy brand that is unequivocally proving that longevity is all about innovation in content and the magazine’s editorial content director, Trevor Meers, is leading the way for those innovations. I spoke with Trevor recently and we talked about a few of those amazing innovations in print that the magazine is implementing with its May/June issue, such as augmented reality between its pages, using QR codes to virtually bring the pages to life. And the thematic profiles of content that also begin with that issue, which will focus on how vitally important the cabin lifestyle is in the Midwest. 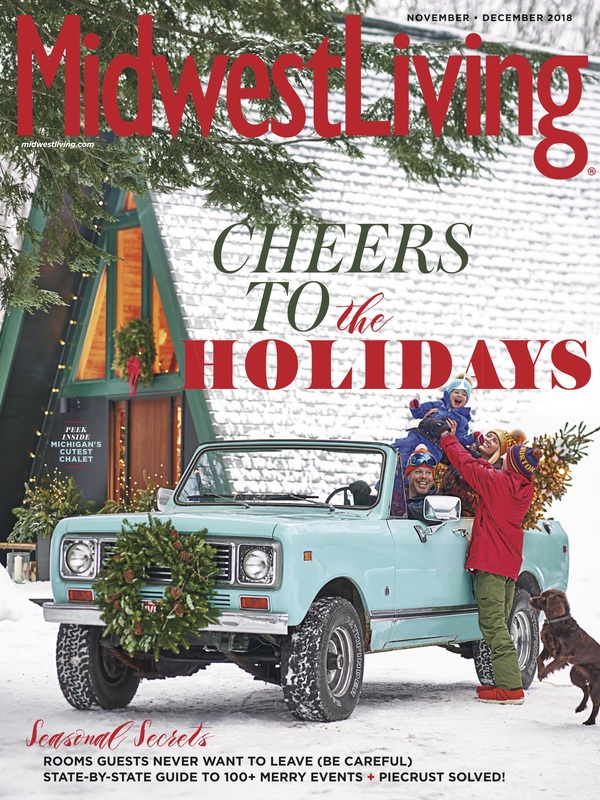 The magazine may be sporting a reputation of excellence that is over 30 years old, but it’s certainly not resting on those laurels comfortably, Instead, the publication is using Trevor’s word of the times for Midwest Living – reinvention, and practicing it. Indeed. 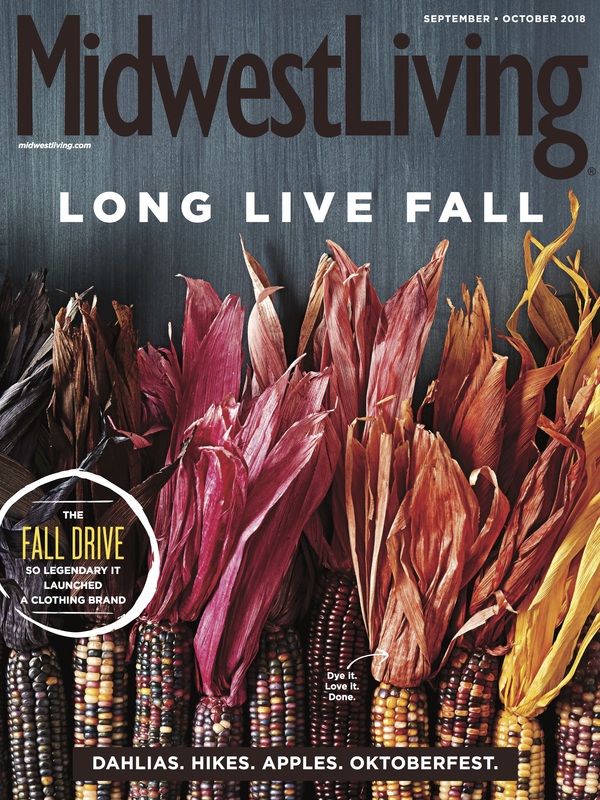 Midwest Living is keeping print moving forward, while being proud of its innovations and digital footprints as well. 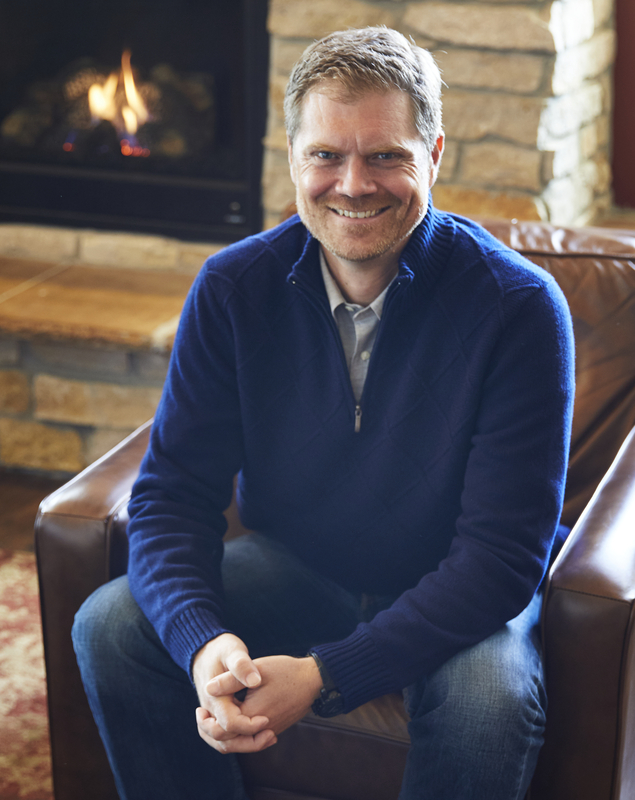 Mr. Magazine™ bids you enjoy this great conversation with a man who has dubbed travel, food, home and design, and adventure the DNA of his brand, Trevor Meers, Editorial Content Director, Midwest Living/Meredith Travel Marketing Content Studio. On his view of the job of editorial director today versus when he joined Midwest Living in 2003:The biggest change that I’ve seen is we’re all required to be more entrepreneurial. We’re still journalists at heart, but we all are tasked with looking for ways to see where our brand can go next. And that’s been a really exciting development for those of us who embrace it, which we certainly have at Midwest Living. To not just be doing the stories, but be thinking about ourselves as brand leaders, and that really goes to the idea of being out of the office, which I reference in my bio, and that’s relationship building. So, certainly we’re in the travel category, so we’re out visiting the destinations we cover constantly. On how he would define Midwest Living:Midwest Living certainly draws on the tradition of brands like Sunset and Southern Living that were our predecessors, and when Midwest Living was created in the late ‘80s, certainly those brands were part of the template that was looked at to create this one. So, Midwest Living is a mix of home and garden, food, and travel. And we are the only journal of life in the Midwest and we capture all of those passionaries’ for our readers. I talk a lot about the travel category with Midwest Living, because that’s one of the first obvious endemic categories for us, in terms of advertising. So, we’re clearly a staple for a lot of advertisers in the travel category. On what differentiates an ink on paper brand that also has a digital presence from just any blogger or individual out there who tells you about great places in the Midwest to visit:Certainly brand has a lot to do with that. And that’s obviously a staple for Meredith as a whole, we have these strong brands that built up their credibility over time. We haven’t just appeared on the scene; we’ve been around and we’ve proven that we’re trustworthy. And we’ve proven that we have staying power. One of the great advantages still, not just for brands but for print specifically that I like to point to is discoverability. On whether he thinks any legacy brand can exist today without its print component:I think that’s going to depend somewhat on that brand. What is its identity? What is its target audience? I think it would be hard to give a one-size-fits-all answer to that. 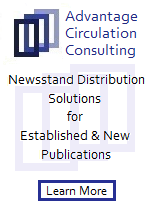 Certainly that print component has such an enormous part in continuing to ensure your permanence and credibility. And obviously we’ve seen that a lot with many digital brands and TV brands going into print rather than the other direction when you look at the success of say, Allrecipes or the Magnolia Journal. So, I think it depends on your audience, but that print piece still plays such an anchor role in defining who your brand is. On what would be his lead if he were writing an article about the many changes that have taken place in publishing and magazines and magazine media:I’m thinking of words more than a full lead and reinvention is definitely one of them. And the successful brands, the successful content leaders over the last decade have been the ones who are willing to reinvent and that can be in a variety of ways. And we’ve really done that well and successfully at Midwest Living, whether that’s looking for different revenue streams or defining your voice as your audience is potentially changing. On whether the last 13 years has been a walk in a rose garden for him:(Laughs) I don’t know that anyone would call the media landscape a walk in a rose garden for the last 13 years, but I think it’s all in how you look at it. You choose to embrace this as an opportunity, and that’s what we’ve done. We have looked at this as a chance to get to do things that we haven’t done before. On what he looks for in potential employees from a human resources perspective:The core is still good reporting when I’m looking for a particular editor or writer, because that will never change. Now your tools might change and the way you go about gathering that information, but if you don’t have good reporting instincts and drive to find the best story, you’re going to struggle regardless of the platform. And you asked earlier about one thing that differentiates legacy brands from other brands that might pop up and come and go, and I think that solid reporting is a big part of that. On the highlight of accomplishment for him at Midwest Living:One of the things that I’m proudest of at Midwest Living is I’ve been the editor for almost four years now, and when I took over in 2015 we looked at a brand that needed a shot in the arm, in terms of thinking about, not just the way it looked, but also the kinds of stories we told. But we knew that we had a legacy brand that was strong, so we had to figure out the right way to adapt a brand to a new era while preserving what we had.Recently a friend of mine, another editor in the industry, was giving a talk and she said that if you want to look at a brand that has reinvented itself while holding on to its core DNA, look at Midwest Living. And I think that’s one of the highest compliments; that we’ve been able to understand who we are while recognizing that there are different ways that we can go about carrying out that same DNA. On the biggest challenge he’s faced at Meredith and how he overcame it:I think the biggest challenge is one that’s ongoing and that is when you have so many opportunities in front of you now, you have to choose. And because of all of the different platforms and the different ways that we can tell stories, we have more ideas that we can execute on, so it’s a matter of choosing where we should tell that one, which avenue should we go down, in terms of whether it’s a custom product that we might be able to work on, where should we invest those resources. I had a professor once who called it the economizing problem, which is unlimited wants and limited resources. And it’s a good problem to have that we have more great ideas than we can execute, so that way we get to pick the best of them. And that’s exciting but it’s challenging to pick them and figure out the best path to take. On how he balances his time between Midwest Living and the content marketing, custom publications:There are a few answers to that question. One is we do have separate teams, we have editors and designers who focus just on Midwest Living and we have some who work just on the custom products. And my creative director and I have a hand in all of that, but we do have teams that are dedicated to those. So, that allows those folks to really concentrate specifically on their topics and their audiences. There are some things that are different, but if you’re doing good content marketing, there aren’t going to be that many differences. You still want to tell a good story. On whether he feels Midwest Living is helping to unite all of the Midwestern states to be more relevant and real to people:I definitely think we have helped to define the region after 30-plus years of doing this. There are 12 states that are officially a part of the Midwest, and that was originally sent out by the U.S. Census Bureau and we kept with that definition of our 12 states. And there are still pockets just like there is in any region. There is a place that just calls themselves the North, when you get into places like Minnesota, but the identity of the center of the country has been increasingly coalescing over the last few years. I think a lot of it has been brands like Midwest Living and they’re putting it all together in a cohesive storyline and helping people recognize what’s going on in this region even if you’re a resident of it. On anything he’d like to add:I’d like to talk a little bit about the exciting new innovations that we have going on at Midwest Living. Coming up in our May/June issue are a couple of special features going forward. One is its theme is the cabin issue, and cabin culture if anyone knows the Midwest, it’s an important part of the Midwest culture. So, we’re going to cover that in more aspects, in terms of locations where you can go to rent cabins. We’re going to be doing stories about families who have renovated theirs, to get the home and design angle. We’re doing food stories about chefs who do outdoor cooking and how you can do that at home. And decorating for your cabin. So, that will all be covered with our theme. On what he would have tattooed upon his brain that would be there forever and no one could ever forget about him:I would like people to think that there’s a person who embraces reinvention. Personally, I don’t do really well with people who talk all of the time about how things were. There are a lot of good things from the past that we want to hang onto, but we need to test all of that to make sure it’s really the best way to keep doing it. I said earlier that I’m interested in what’s effective and what’s true, not simply what’s familiar. So, reinvention can be scary and painful, but it’s also what makes life an adventure if you’re willing to see it as an opportunity. On the biggest misconception he thinks people have about him:Well, I would lump myself and the Midwest into one answer on that. The Midwest as a whole, including all of us who cover it, is a far more relevant region than a lot of people give us credit for. We have about 52 million consumers within the Midwest, about 21 percent of the population, and so it’s a vast audience that a lot of products aren’t reaching with their media messaging. And if you look at our spendable income, our dollar is worth about a dollar and eight cents in the Midwest compared to other regions. So, if you just think about a consumer in any region and increase their income by eight percent, think what they could do with that. On what someone would find him doing if they showed up unexpectedly one evening at his home:It’s a bit of a busman’s holiday with me and my family, because we cover a lot of travel at our magazine, but we love to travel, so a lot of times you will find us flipping through a guidebook or an Instagram feed or it might even be a U.S. Forestry Park map, planning our next adventure. I count myself very fortunate that I’ve landed at a place where I get to do so much of my work in a category that I personally love. And if you look at our living room raw, it’s going to look like a bit like a Tetris puzzle because we’re always trying to find room for more of the photos from our trips because we like to relive those memories. On what keeps him up at night:I’d say, going back to relatively the same answer that we talked about with the biggest challenge, and that’s really choosing the best way to use our resources. And when we see so many directions that we could take a story, it’s picking the one that we think is going to give us the biggest exposure and have the best results for our readers. And now the lightly edited transcript of the Mr. Magazine™ interview with Trevor Meers, Editorial Content Director, Midwest Living/Meredith Travel Marketing Content Studio. Samir Husni: You’re the third editor in chief of Midwest Living and it has been published now for almost 33 years. And you’re also the editorial content director for the Travel Studio at Meredith. I read part of your bio and it said that you “spend most of your time scheming ways to escape the office in search of more food, adventures and interesting people.” Tell me about the job of an editorial director today versus when you joined Midwest Living in 2003. Trevor Meers: The biggest change that I’ve seen is we’re all required to be more entrepreneurial. We’re still journalists at heart, but we all are tasked with looking for ways to see where our brand can go next. And that’s been a really exciting development for those of us who embrace it, which we certainly have at Midwest Living. To not just be doing the stories, but be thinking about ourselves as brand leaders, and that really goes to the idea of being out of the office, which I reference in my bio, and that’s relationship building. So, certainly we’re in the travel category, so we’re out visiting the destinations we cover constantly. But we’re also getting to know our clients and as we’ve really realized to a stronger degree than we have in the past, our brand leaders are such great spokespeople for what story we’re telling. And that’s valuable; we take that out to our advertisers and represent our brand in that way. Samir Husni: You referred to Midwest Living as being in the “travel category.” If you met someone on the street and you told them you worked for Midwest Living, how would you define that brand, because the first thing that comes to some people’s minds would be Southern Living or Sunset, a regional magazine, yet you just defined it as travel. So, how would you truly define Midwest Living? Trevor Meers: Midwest Living certainly draws on the tradition of brands like Sunset and Southern Living that were our predecessors, and when Midwest Living was created in the late ‘80s, certainly those brands were part of the template that was looked at to create this one. So, Midwest Living is a mix of home and garden, food, and travel. And we are the only journal of life in the Midwest and we capture all of those passionaries’ for our readers. I talk a lot about the travel category with Midwest Living, because that’s one of the first obvious endemic categories for us, in terms of advertising. So, we’re clearly a staple for a lot of advertisers in the travel category. But obviously we have an important role in helping to define the taste of the food and home design and gardening in the region, just as Sunset and Southern Living has throughout their history. But travel is especially important to us because that’s been able to give rise to a really robust custom content that we’ve launched off the brand in a big way here in the last four years. Samir Husni: You mentioned when we started this conversation about the importance of journalism. In this day and age where anyone can blog or Tweet or write anything about travel or places they like or don’t like, what differentiates an ink on paper brand that also has digital extensions and a digital presence from just anyone out there telling you about a great restaurant or a great place to visit in Iowa? Trevor Meers: Certainly brand has a lot to do with that. And that’s obviously a staple for Meredith as a whole, we have these strong brands that built up their credibility over time. We haven’t just appeared on the scene; we’ve been around and we’ve proven that we’re trustworthy. And we’ve proven that we have staying power. One of the great advantages still, not just for brands but for print specifically that I like to point to is discoverability. The digital world has done a lot to segregate us off into intellectual feed fills where we can set things up to only feed us the information that we already either know about or agree with. And when you purchase a magazine, I talk to our editors about the fact that’s really a contract with the reader. Giving a contract to a trusted team of curators to present content that know you’re going to like even if you’re not sure you know anything about it yet. You’re trusting that these people have the taste and that they understand this audience, that they’re going to give me information that I am going to find interesting and it’s going to be reliable. Samir Husni: Do you think any legacy brand can exist today without its print component? Trevor Meers: I think that’s going to depend somewhat on that brand. What is its identity? What is its target audience? I think it would be hard to give a one-size-fits-all answer to that. 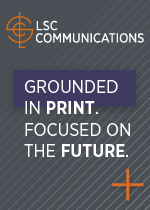 Certainly that print component has such an enormous part in continuing to ensure your permanence and credibility. And obviously we’ve seen that a lot with many digital brands and TV brands going into print rather than the other direction when you look at the success of say, Allrecipes or the Magnolia Journal. So, I think it depends on your audience, but that print piece still plays such an anchor role in defining who your brand is. Samir Husni: You’ve been at Midwest Living now for 13 years. As a journalist, let’s imagine that you’re writing an article about the many changes that have taken place in publishing, magazines and magazine media; what would be your lead in that article? Trevor Meers: I’m thinking of words more than a full lead and reinvention is definitely one of them. And the successful brands, the successful content leaders over the last decade have been the ones who are willing to reinvent and that can be in a variety of ways. And we’ve really done that well and successfully at Midwest Living, whether that’s looking for different revenue streams or defining your voice as your audience is potentially changing. So, we really look a lot at thinking about holding to what is effective and what is true, not just what we used to do. And that might mean, as I said, different revenue strategies, it could mean different platforms. To some degree you’re thinking about being platform agnostic, thinking where’s the best place to tell that story. And many times that’s going to be across multiple platforms. Samir Husni: Has it been easy for you, difficult, challenging; or has it been a walk in a rose garden for the last 13 years? Trevor Meers: (Laughs) I don’t know that anyone would call the media landscape a walk in a rose garden for the last 13 years, but I think it’s all in how you look at it. You choose to embrace this as an opportunity, and that’s what we’ve done. We have looked at this as a chance to get to do things that we haven’t done before. I talked about being entrepreneurial at the beginning, and I think that’s really drawn out the content creators who have that entrepreneurial strength. And some people didn’t even know they had it in them until a new landscape was put out there and they started looking at it as new ways to tell stories that hadn’t even been thought of before. And if things hadn’t changed we probably wouldn’t have ever tried that. But now that we have a chance to we can see all of these advantages to telling stories in different ways. Samir Husni: As you interview and hire people for jobs at Midwest Living and at the Travel Studio at Meredith, are you looking at things differently today than, let’s say, when you were hired? From a human resources perspective, what do you look for in potential employees? Trevor Meers: The core is still good reporting when I’m looking for a particular editor or writer, because that will never change. Now your tools might change and the way you go about gathering that information, but if you don’t have good reporting instincts and drive to find the best story, you’re going to struggle regardless of the platform. And you asked earlier about one thing that differentiates legacy brands from other brands that might pop up and come and go, and I think that solid reporting is a big part of that. The visual aspect is also huge, so your editors need to be able to take some photography that can be used, they need to be able to capture video, they need to be able to do a good interview in audio, in case we decide to turn something into a podcast or something like that. So, that’s a broader skillset. Where we used to segregate more between a print journalist and a radio journalist, there are specialties within that skillset, but we do need more of a general purpose person who can capture that kind of content. And an ability to tell a story in some different voices, because there is going to be a different voice in your print piece versus how you write that on Instagram, or even potentially on Facebook being different from Instagram. And having the ability to adapt your voice to the proper platform is something that we really watch for. Samir Husni: In your own experience, if you recall your tenth year at Meredith, what would you consider the highlight of accomplishment for you or the moment you said wow? Can you pinpoint a specific moment? Trevor Meers: One of the things that I’m proudest of at Midwest Living is I’ve been the editor for almost four years now, and when I took over in 2015 we looked at a brand that needed a shot in the arm, in terms of thinking about, not just the way it looked, but also the kinds of stories we told. But we knew that we had a legacy brand that was strong, so we had to figure out the right way to adapt a brand to a new era while preserving what we had. Recently a friend of mine, another editor in the industry, was giving a talk and she said that if you want to look at a brand that has reinvented itself while holding on to its core DNA, look at Midwest Living. And I think that’s one of the highest compliments; that we’ve been able to understand who we are while recognizing that there are different ways that we can go about carrying out that same DNA. Samir Husni: What has been the biggest challenge that you’ve faced at Meredith and how did you overcome it? Trevor Meers: I think the biggest challenge is one that’s ongoing and that is when you have so many opportunities in front of you now, you have to choose. And because of all of the different platforms and the different ways that we can tell stories, we have more ideas that we can execute on, so it’s a matter of choosing where we should tell that one, which avenue should we go down, in terms of whether it’s a custom product that we might be able to work on, where should we invest those resources. I had a professor once who called it the economizing problem, which is unlimited wants and limited resources. And it’s a good problem to have that we have more great ideas than we can execute, so that way we get to pick the best of them. And that’s exciting but it’s challenging to pick them and figure out the best path to take. Samir Husni: How do you balance your time between editing a major print magazine, with almost a million in circulation and with a web presence, and doing the custom publications? Is there any difference between creating a content marketing, custom publication than creating a general interest, regional magazine? Trevor Meers: There are a few answers to that question. One is we do have separate teams, we have editors and designers who focus just on Midwest Living and we have some who work just on the custom products. And my creative director and I have a hand in all of that, but we do have teams that are dedicated to those. So, that allows those folks to really concentrate specifically on their topics and their audiences. There are some things that are different, but if you’re doing good content marketing, there aren’t going to be that many differences. You still want to tell a good story. And I think many of the clients that we work with on the content marketing side have gotten much more savvy about that, in that a few years ago they would also come to us dictating exactly what they wanted the message to be. 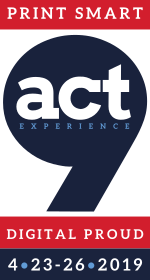 Now they’re hiring us and saying that we know the audience, here’s the way we’re generally trying to go, tell that story in the way that you think will resonate with our audience. I think we’ve seen a real increase in the quality of a lot of content marketing that’s done by the better companies. So, at the core it’s still telling a good story; it’s still doing content that you know readers are going to be interested in. Samir Husni: When Midwest Living was launched the challenge was that people did not believe that there was something called the Midwest. There was Chicago and Des Moines, there was Kansas City, there was St. Louis, do you feel that misconception is still there now or has Midwest Living help to unite all of these Midwestern states? Trevor Meers: I definitely think we have helped to define the region after 30-plus years of doing this. There are 12 states that are officially a part of the Midwest, and that was originally sent out by the U.S. Census Bureau and we kept with that definition of our 12 states. And there are still pockets just like there is in any region. There is a place that just calls themselves the North, when you get into places like Minnesota, but the identity of the center of the country has been increasingly coalescing over the last few years. I think a lot of it has been brands like Midwest Living and they’re putting it all together in a cohesive storyline and helping people recognize what’s going on in this region even if you’re a resident of it. Trevor Meers: I’d like to talk a little bit about the exciting new innovations that we have going on at Midwest Living. Coming up in our May/June issue are a couple of special features going forward. One is its theme is the cabin issue, and cabin culture if anyone knows the Midwest, it’s an important part of the Midwest culture. So, we’re going to cover that in more aspects, in terms of locations where you can go to rent cabins. We’re going to be doing stories about families who have renovated theirs, to get the home and design angle. We’re doing food stories about chefs who do outdoor cooking and how you can do that at home. And decorating for your cabin. So, that will all be covered with our theme. We’re also launching this as our first Smart issue, so we’ll have augmented reality available throughout the issue, both in the editorial and the advertising. So readers will be able to bring a lot of the stories to life with QR codes and they’ll be able to hear from the chefs behind the recipes, they’ll be able to see a furniture maker making furniture. 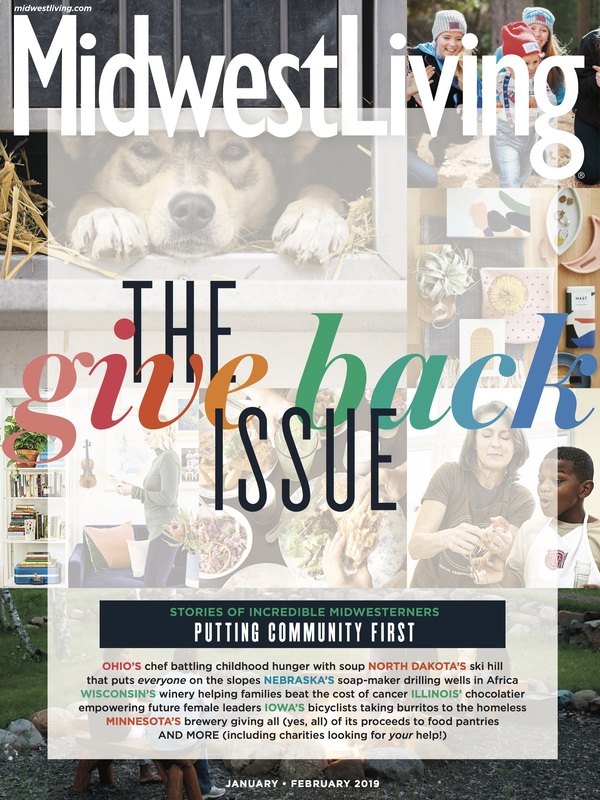 It’s a great example of how print continues to innovate and Midwest Living specifically continues to find new ways to tell stories through the print avenue. Trevor Meers: I would like people to think that there’s a person who embraces reinvention. Personally, I don’t do really well with people who talk all of the time about how things were. There are a lot of good things from the past that we want to hang onto, but we need to test all of that to make sure it’s really the best way to keep doing it. I said earlier that I’m interested in what’s effective and what’s true, not simply what’s familiar. So, reinvention can be scary and painful, but it’s also what makes life an adventure if you’re willing to see it as an opportunity. Trevor Meers: Well, I would lump myself and the Midwest into one answer on that. The Midwest as a whole, including all of us who cover it, is a far more relevant region than a lot of people give us credit for. We have about 52 million consumers within the Midwest, about 21 percent of the population, and so it’s a vast audience that a lot of products aren’t reaching with their media messaging. And if you look at our spendable income, our dollar is worth about a dollar and eight cents in the Midwest compared to other regions. So, if you just think about a consumer in any region and increase their income by eight percent, think what they could do with that. So, that’s a message that we want to get out there about a region that also has so many innovative things happening, in terms of the chefs and the performing arts, and even the landscape, because people underestimate how great it really is. The Midwest by nature, we tend to be very self-effacing, and a big part of the new Midwest Living approach is we need to be louder and prouder about this region that we cover. Trevor Meers: It’s a bit of a busman’s holiday with me and my family, because we cover a lot of travel at our magazine, but we love to travel, so a lot of times you will find us flipping through a guidebook or an Instagram feed or it might even be a U.S. Forestry Park map, planning our next adventure. I count myself very fortunate that I’ve landed at a place where I get to do so much of my work in a category that I personally love. And if you look at our living room raw, it’s going to look like a bit like a Tetris puzzle because we’re always trying to find room for more of the photos from our trips because we like to relive those memories. Trevor Meers: I’d say, going back to relatively the same answer that we talked about with the biggest challenge, and that’s really choosing the best way to use our resources. And when we see so many directions that we could take a story, it’s picking the one that we think is going to give us the biggest exposure and have the best results for our readers.